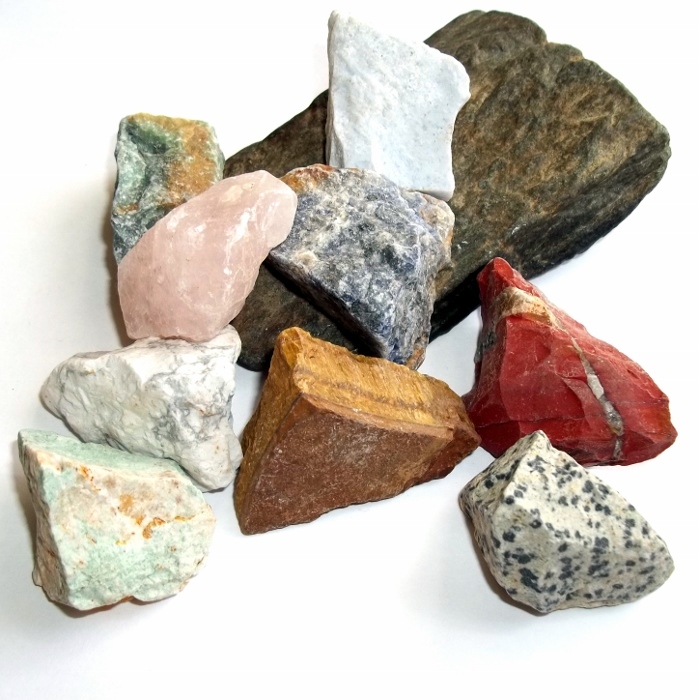 Grab a half pound of raw lapidary rough gemstones to start your rock collection. 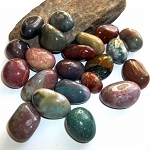 These are a mix of stones, all natural, high quality, none dyed that I buy in bulk. 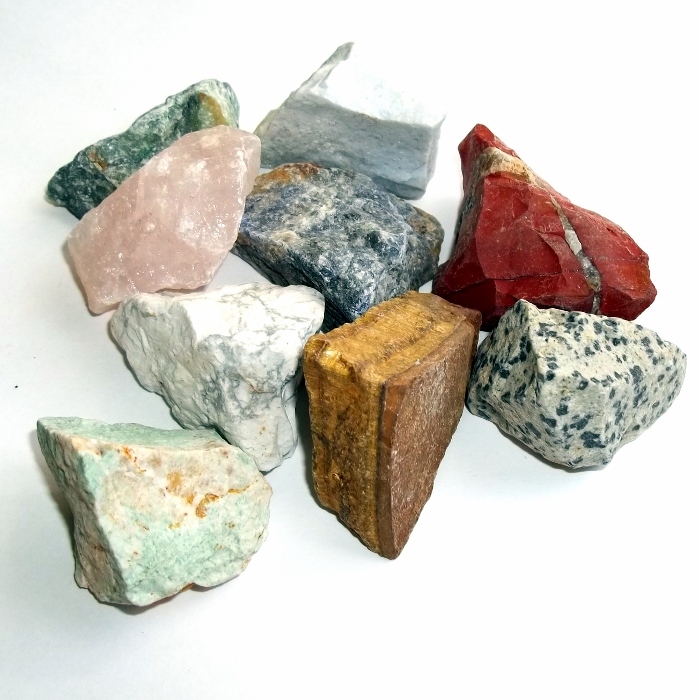 Included in the mix are rose quartz, blue quartz, howlite, amazonite, jaspers, tigers eye, unakite and a few others. You are purchasing these unlabeled, but I will make sure you have a nice variety. The colors vary, and they're all absolutely gorgeous. 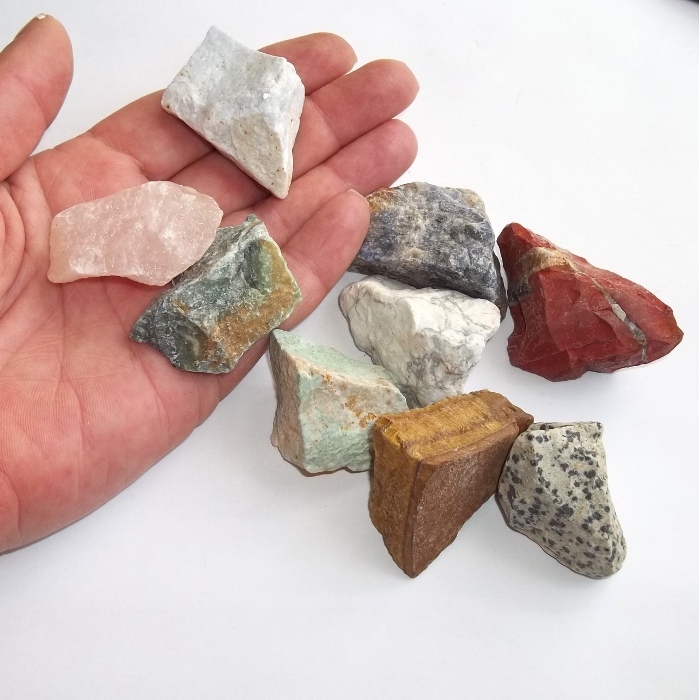 What you see in the photos here is exactly a half pound (not including my boring brown prop rock,) so that's about the size of the lot you'll be getting, typical stones sizes photographed in my hand. Price is for a half pound minimum lot (I may go over 8 ounces when I pack it for you, but it will never be under) and includes complimentary US shipping. Need a bag to keep them in? 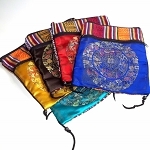 My gemstone storage bags will hold your sparklies in style and they're a great buy!